This exhibition celebrates the expert Bronze casting sculpture courses at Morley College’s Sculpture studio, showing work by students of the recent summer school Bronze course alongside the tutor, Terry Jones, technicians, Alex Harley and Steve Hodgson, and initiator of the course and past Morley tutor Giles Corby. This 5-day short course introduces the art and techniques of lost wax bronze casting. Students participate fully in the different processes from modelling their designs in wax, learning the moulding techniques, seeing their work cast with the molten bronze and finally learning the metalwork and finishing skills to complete their cast bronze work. The first course in October 2011 was initiated and facilitated by past Morley Sculpture tutor, Giles Corby and master Bronze caster and sculptor Terry Jones. Together they designed and built the studio bronze furnace and over the years gathered the necessary specialist equipment. Morley sculpture tutor Alex Harley has been course technician throughout also the recipient of the Brian Mercer Bronze casting residency in Italy through the Royal British Society of Sculpture. Steve Hodgson, as invaluable Morley Sculpture technician, has also supported this course throughout. The Morley Bronze course has flourished with excellent student feedback and has evolved from running once per year to three courses per year. The quality and diversity of work demonstrated in this exhibition celebrate its success. 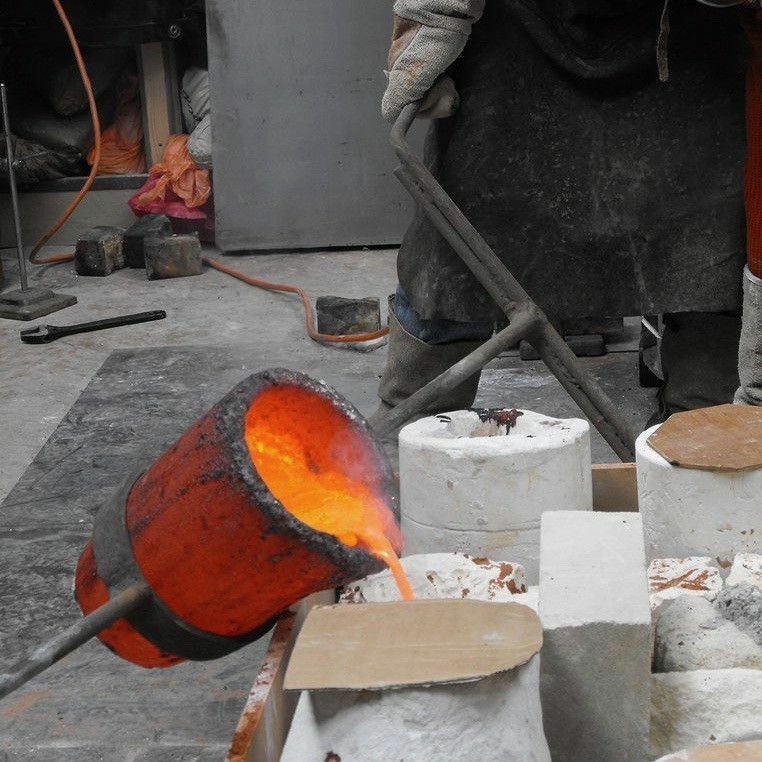 The next Bronze casting course VSC075A runs Monday 22 October – Friday 26 October 2018.